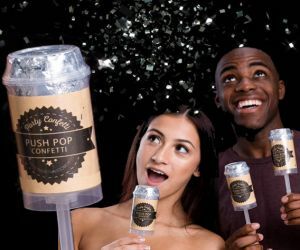 Customized confetti cannons, gender reveals, corporate events, school colors, we got you covered. Has anyone ever had a bad time when surrounded by showers of confetti? Of course not. Confetti is one of the best indicators that something awesome is happening, and everyone wants to be in the middle of it when it does. Our tissue paper is flameproof and comes in a wide selection of colors. You can choose from blue, red, pink, purple, white, yellow, and green. Thousands of pieces of confetti are launched, and each piece measures around 2 inches by 1/2 inch for easy cleanup. Metallic slips are brightly colored die cut pieces of no bleed foil that add a lot of glimmer and shine to your event. Mylar confetti catches the glitter and sparkle from surrounding lights as it falls. Each piece is die cut into 2 inches by 1/2 inch rectangles for a no hassle removal. Mix and match colors from our huge selection. Go the distance, streamers shoot out over your audience further and farther than tissue or metallic slips and provide for the easiest cleanup. Each metallic streamer measures 1/2 inch by 48-60 inches long. With streamers you get to experience the shimmer and sparkle of metallic slips with an easy no mess no hassle cleanup. We offer five different sizes with varying launch heights to accommodate most events. Our smaller 12 and 16 inch shooters are perfect for rooms with ceilings of 12 to 20 feet in height, and small to medium gatherings like gender reveal parties! The larger cannons provide extra power to fill venues with larger open spaces and higher ceilings. Is your event outside? Windy conditions can alter the distance and coverage, so it's best to choose a larger size when using outdoors! 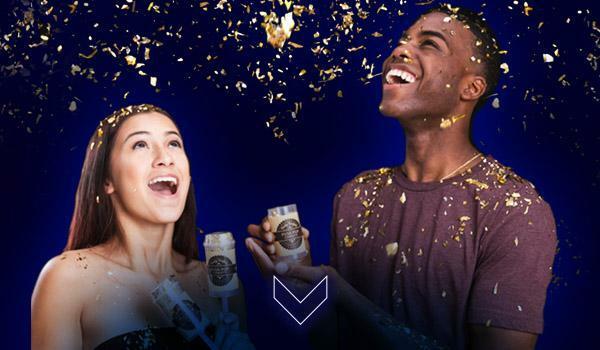 The next time you need an event to feature a big, showy shower of confetti, look to Premier Glow, where we have everything you need to turn any event into one where magic and good cheer rains down on guests and attendees. Our confetti cannons and powder cannons can bring a colorful burst of excitement to any type of event. 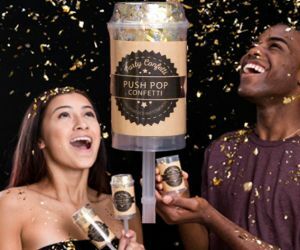 We offer confetti and powder in multiple colors to ensure that no matter what kind of event you're having for whatever reason, you can bring a flurry of fluttering festivity that matches the mood.